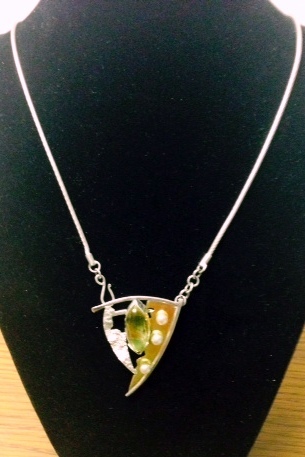 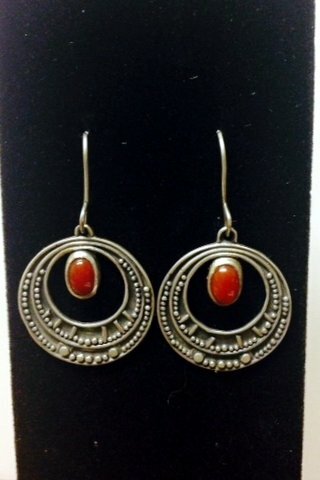 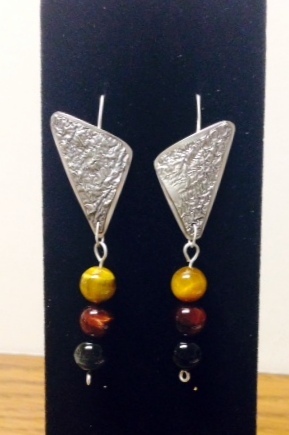 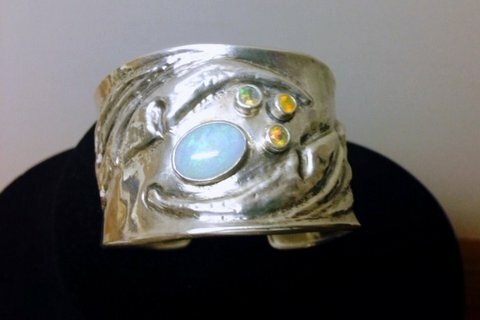 metalsmithing started circa 1996. 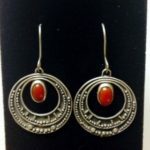 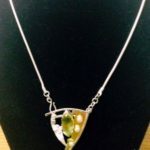 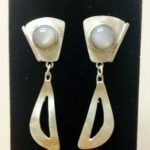 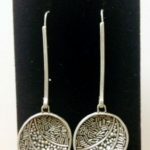 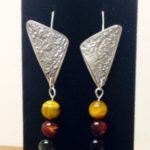 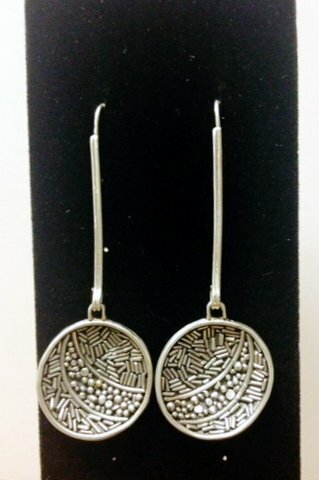 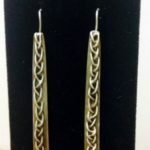 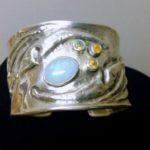 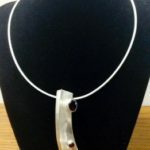 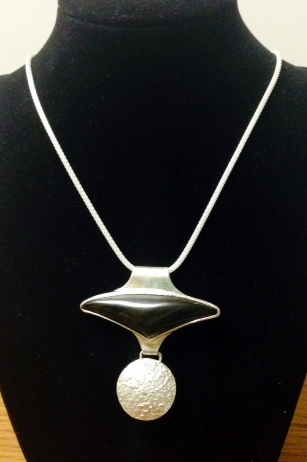 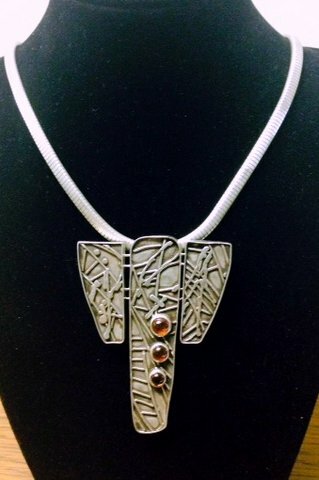 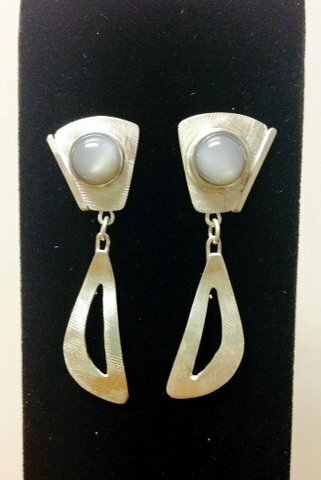 Jewelry seemed a natural progression, pulling from past experiences and artistic expressions, culminating with the acute skill and careful workmanship that metalsmithing demands. 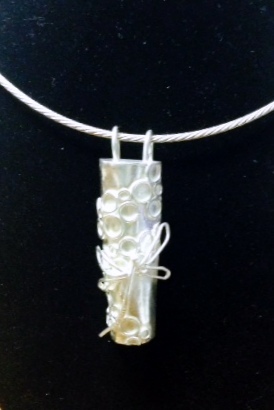 Just this summer in a class with Ronda Coryell, Lonni developed a passion for Argentium. 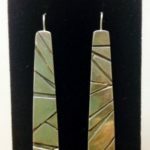 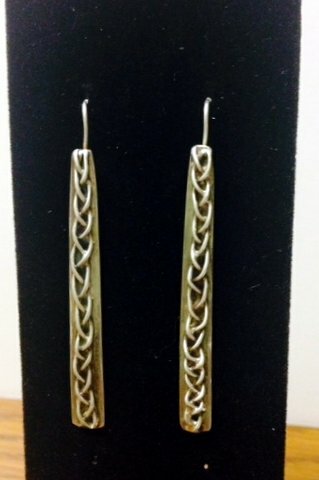 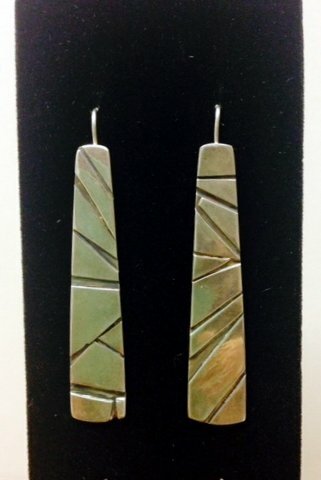 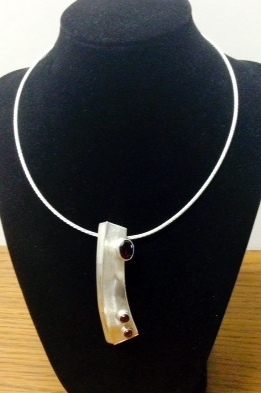 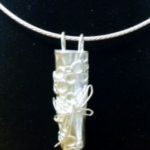 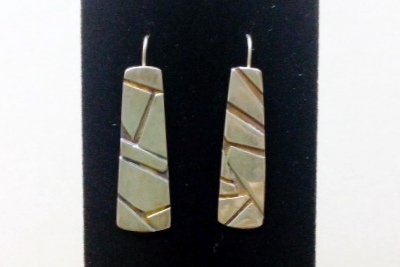 Along with Sterling silver and 18K Gold, the newest works she is making are sculptural and textural, using a new process of casting. 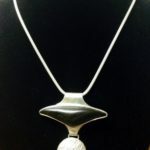 She is exploring hollow forms and shell forms. 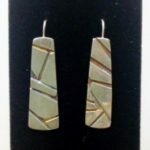 Expect to see lots of new stones, layers, and coordinating pieces. 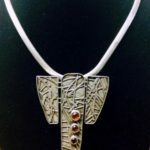 Lonni’s work can be seen in three different categories; hollow forms, geometrics, and textures.